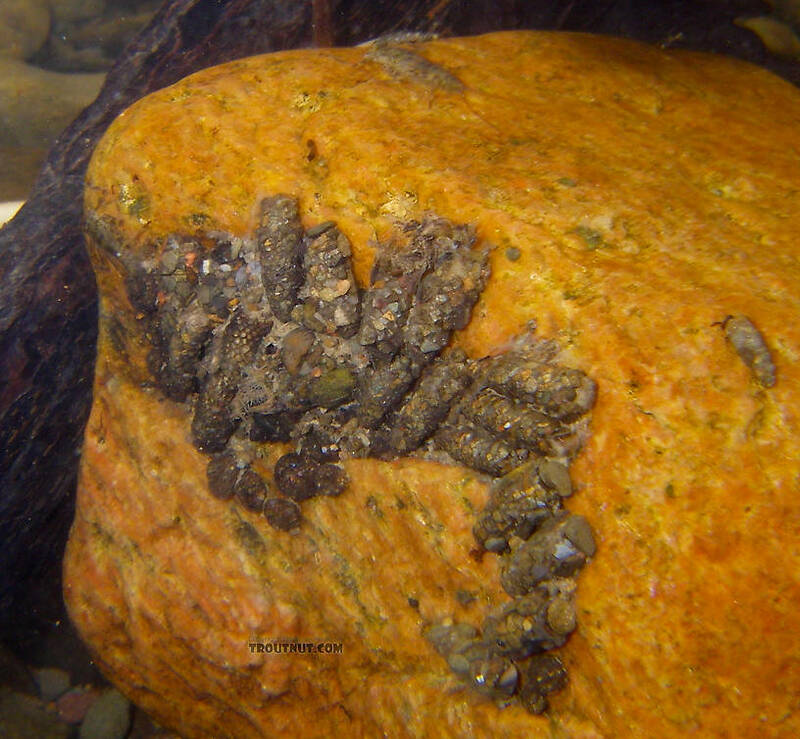 A variety of cased caddisfly larvae, probably mostly Neophylax, have clustered along the backside of a rock in fast water. 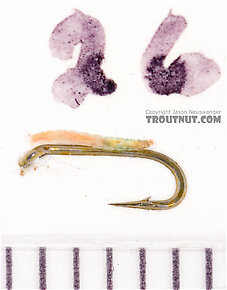 There seem to be some Helicopsychidae larvae clustered along the bottom, and a few other taxa are mixed in. 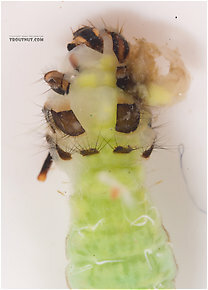 It's interesting that several larvae have especially large stones placed over the front openings of their cases, perhaps to block the case off for pupation. It does seem to be the wrong time of year for Neophylax to be pupating, but that was the ID given for one of these which I collected and photographed up close. 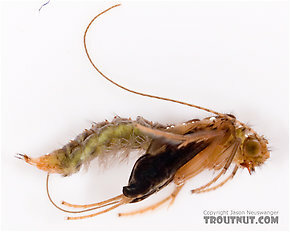 In this picture: Caddisfly Genus Helicopsyche (Speckled Peters) and Caddisfly Genus Neophylax (Autumn Mottled Sedges). 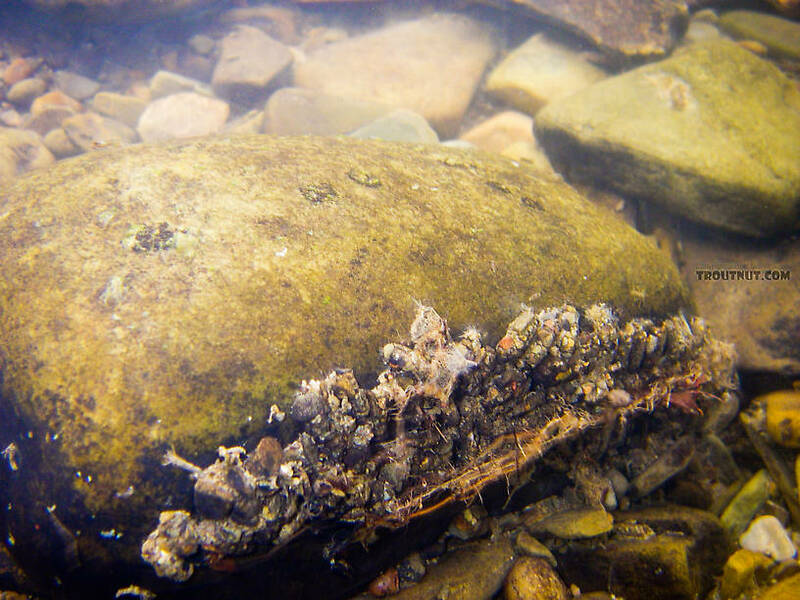 A wide variety of caddis larvae and other insects have clustered together on the backside of this rock in fast water. 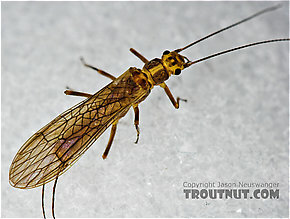 In this picture: Caddisfly Genus Neophylax (Autumn Mottled Sedges). Brachycentrus (Grannoms) Caddisfly Pupa View 10 PicturesThe green blob contained in this case is a pupa in the early stages of transformation from larva to the final stage we generally picture and imitate. This specimen and several like it were fixed to a rock I picked up, and each one had the front of its case sealed off, protecting the helpless pupa from predation. It's neat to see the insect part-way through such a radical transformation. 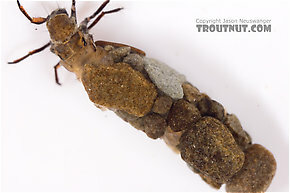 Rheotanytarsus Midge Larva View 6 PicturesThis peculiar midge lived in a case tightly fixed to a rock, with several others of its kind. The case seems to be made of tiny grains of sand. I'm not sure what the function is for the little lines sticking out the front, because they aren't legs.